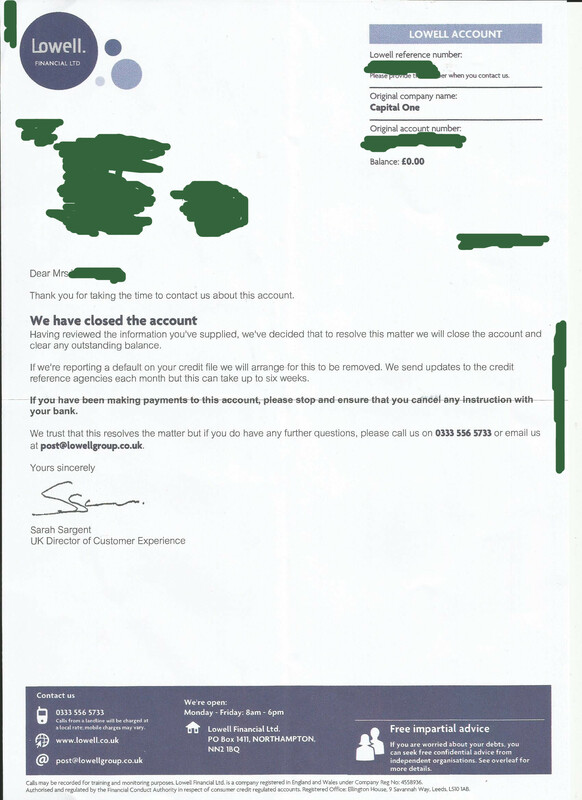 Thats great stuff, They are even clearing it on the credit reference. OMG, what did you do? They've just sent me a court order and I don't know where to begin. Also, I dont understand the abbreviations for the most part,eg CCA,LBA and SAR. Well done! Yes the process works / has done for many of us.